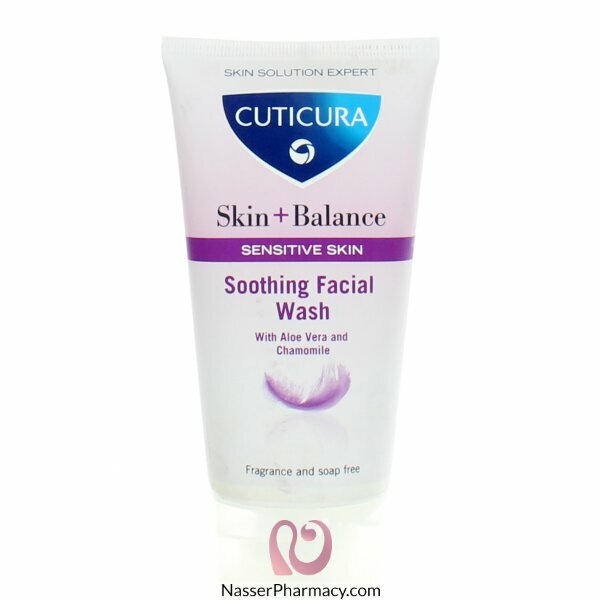 Cuticura' Skin+ Balance range for sensitive skin, enriched with Aloe Vera and Chamomile, is specifically formulated to protect against environmental aggressions whilst calming and soothing sensitive skin. This range avoids known allergens and detrimental skincare ingredients making it perfect for skin in need of extra care. Expertly formulated with Aloe Vera and Chamomile, this calming facial cleanser will remove make-up and impurities whilst gently soothing delicate skin. Contains no soap, fragrance, alcohol or colour. Dermatologically approved.